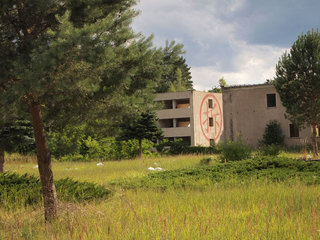 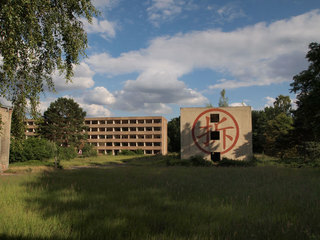 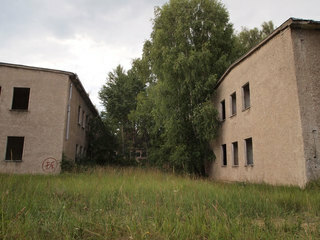 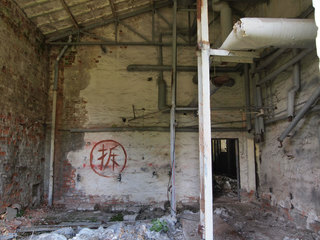 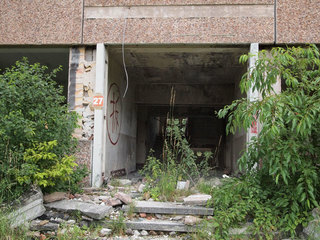 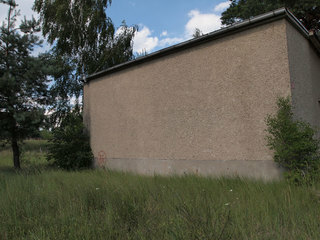 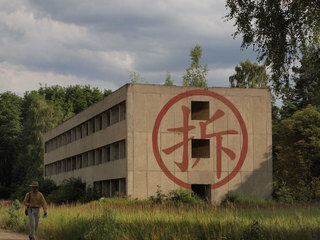 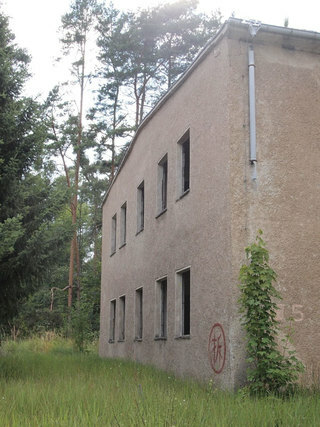 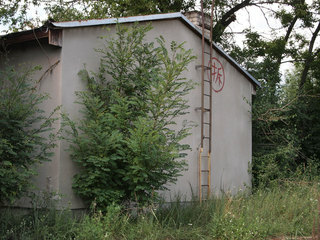 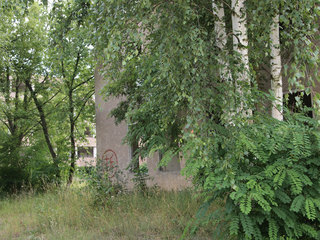 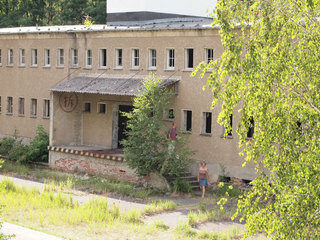 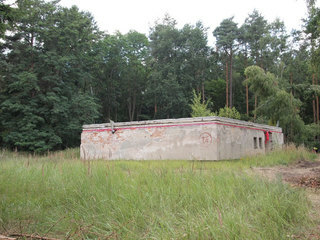 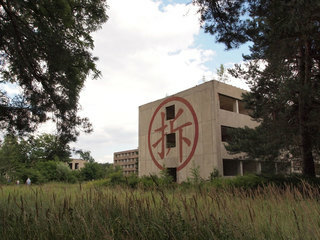 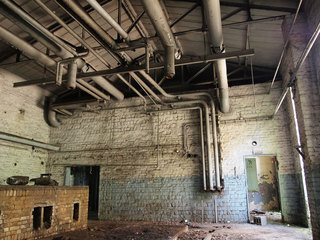 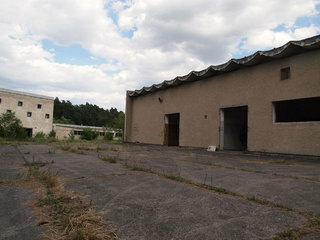 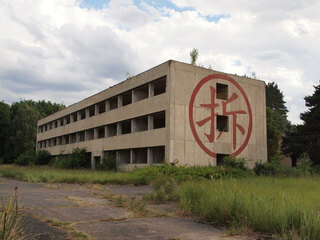 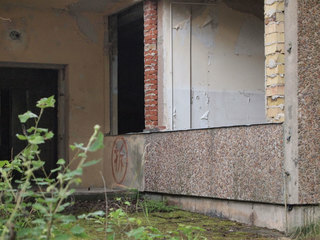 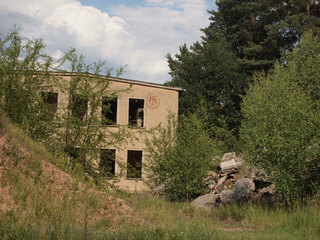 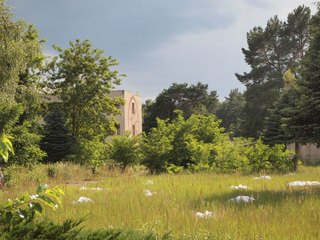 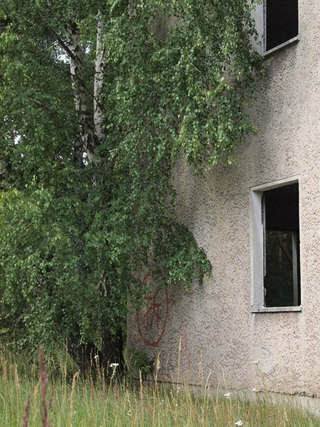 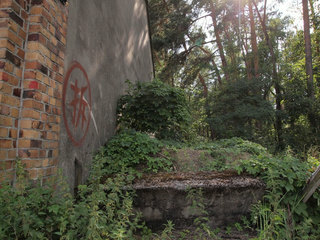 Each year the artist group "Endmoräne" chooses a deserted location in Brandenburg to stage its summer workshop, a group exhibition of installations by about 20 female artists. 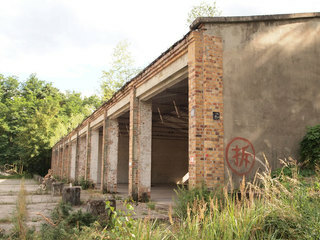 in 2011 I was invited as guest artist to develop a site- and theme-specific project on the former 9000 qm army base in Neuhardenberg. 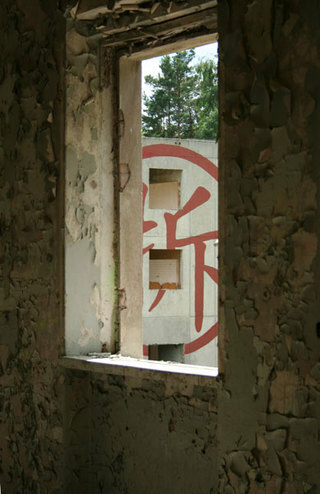 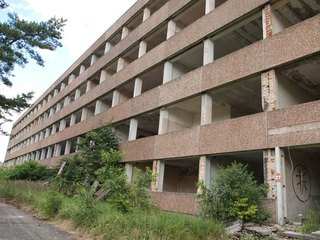 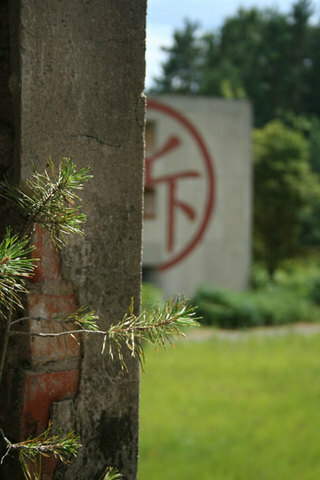 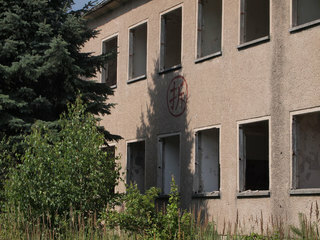 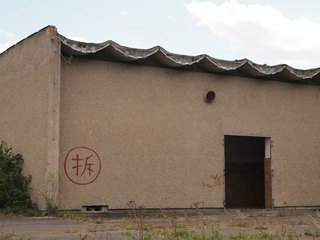 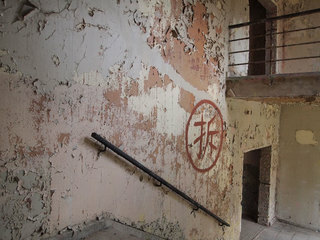 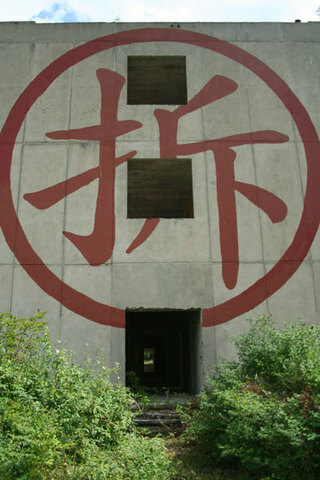 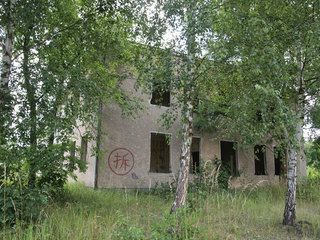 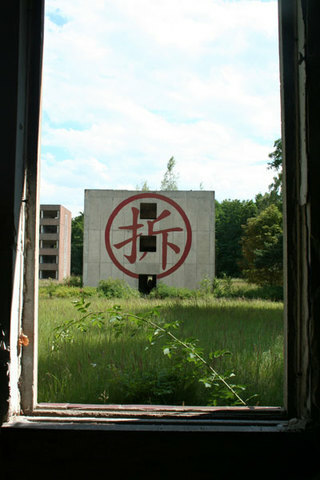 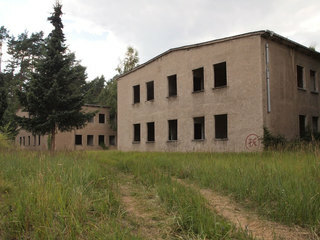 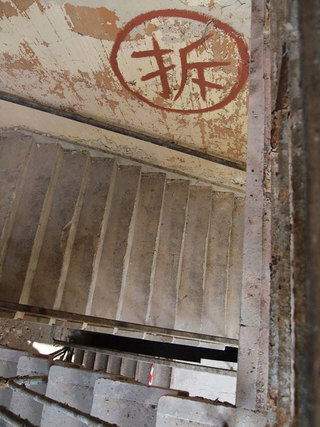 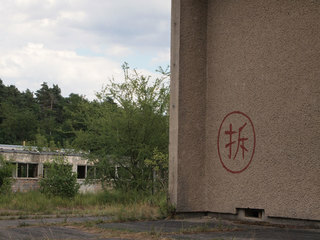 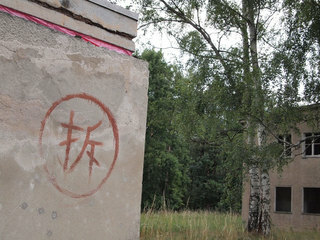 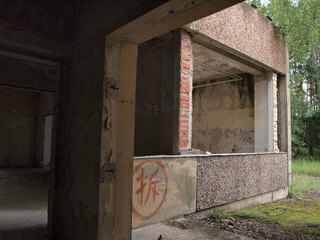 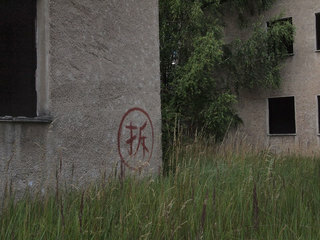 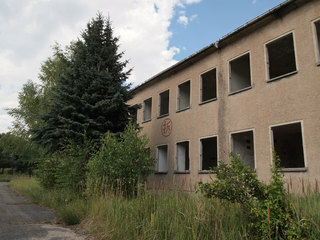 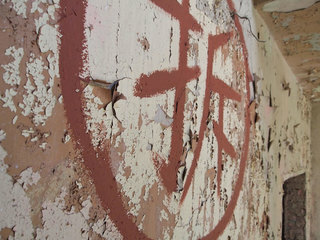 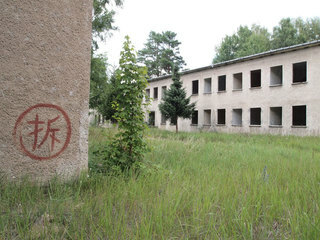 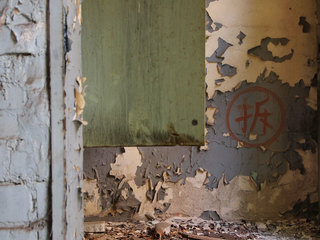 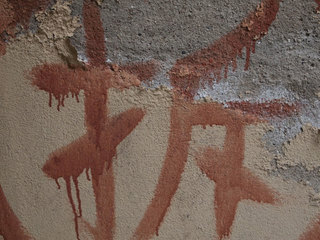 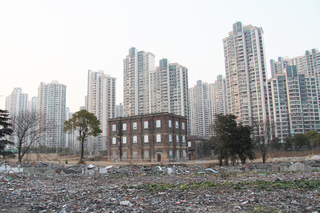 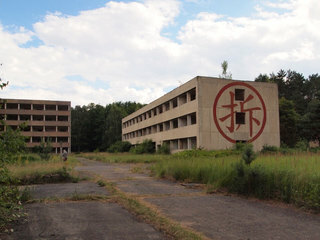 Since all of the empty houses of the fomer army base will be demolished sooner or later giving way to new yet undecided developments on the location I marked each building with the Chinese sign "chai", literally meaning "to take away the form of something by hand". 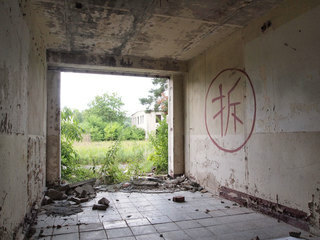 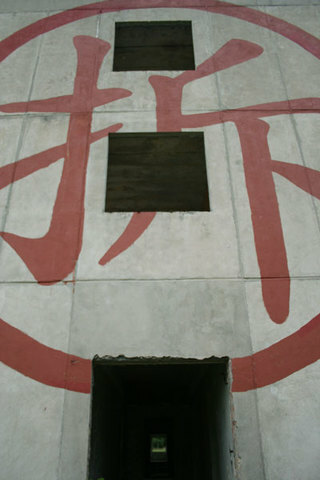 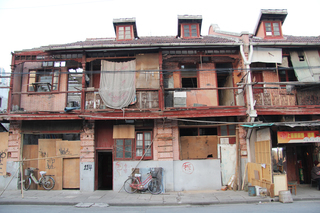 In China this sign is put on all the old houses, that will be demolished in order to give way to the construction of large new highrise living quarters in the booming cities. 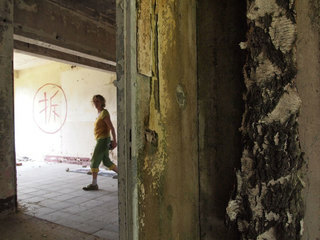 Here in Brandenburg, there is no economic boom, yet the remains of the GDR-regime will be wiped out without having a follow-up plan. 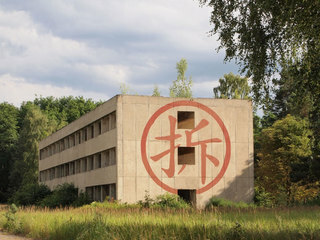 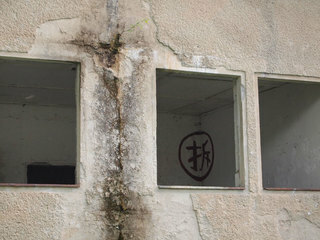 "Branding" the houses of the former East-german regime in the language of the former communist partner China creates the paradox, that to us it looks like a beautiful calligraphical element that cannot be deciphered - thus it stays a pretty yet mysterious ornament, only by knowing its meaning the graphic sign becomes a sign of Doom.